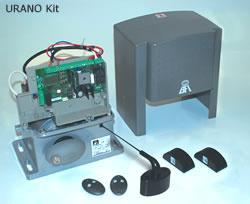 BFT Urano Sliding Gate Kit For Electric Gates. BFT Urano BT Sliding Gate Kit. 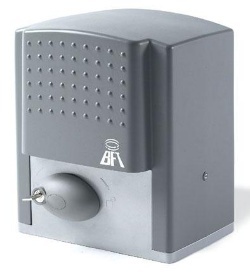 Mechanical sliding gate motor suitable for apartment blocks and industrial applications. These kits are for use in industrial situations for gates up to 1200kg, used on both steel and closed boarded wooden gates. Programming by means of display. Electronic brake. 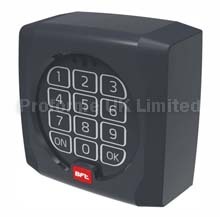 Incorporated Rolling-Code receiver with 63 codes, Compatible with EElink protocol. Self-diagnosis function. Detection and storage of statistical parameters. Presetting for centralised serial control. Supplied with fixing system. Stopping is controlled by electromechanical microswitchers. max leaf weight 1200 kg. Also available: BFT Urano operators. Download Urano PDF File. Here.